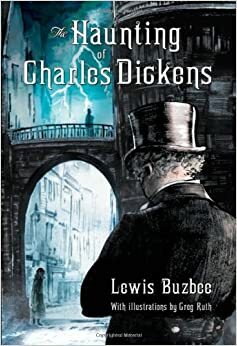 In Lewis Buzbee’s thrill inducing novel, The Haunting of Charles Dickens, readers are brought to 19th century London where Meg Pickle’s older brother, Orion, has mysteriously disappeared and has been missing for six months. One sleepless night, Meg stumbles upon a séance she believes Orion is involed in, and the famous writer himself, Charles Dickens. Upon further investigation, Meg and her family are sent all around London, looking for their lost family member. Twists and turns lead to riddles that lead to even more mysteries, the correct path is ever changing, and one wrong step may lead Meg to something worse than death. Some readers in search of ghosts and other supernatural beings may be disappointed with only the short appearance of a ghost who is never seen and rarely spoken of again. Illustrated by Greg Ruth, The Haunting of Charles Dickens will keep readers up with its suspenseful twists and turns. Along with The Haunting of Charles Dickens, readers may enjoy other mystery books, and many pieces by Dickens himself, such as the classic A Christmas Carol, and the beloved classic, Great Expectations.